The Mature Mouse™ has a new logo! You may have noticed a different look to The Mature Mouse™ logo. It now has a simpler, cleaner look, while maintaining a Disneyesque quality. I would value your feedback on this new image, so please take a moment to leave a comment below . 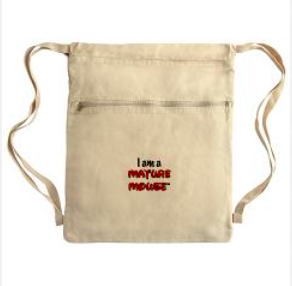 If you are indeed a mature fan of Disney, a mature mouse, please use the link to visit The Mature Mouse™ store for logo merchandise. The new image reprints well on the merchandise featured in the store. These items would make great additions to your vacation gear and attire. And, make sure to consult Jennie Nowers about your next Disney vacation. Tell her that The Mature Mouse™ sent you and receive a special gift from Jennie with your next booking.